Summer is on it’s way to Melbourne and school is almost out for those in Victoria. 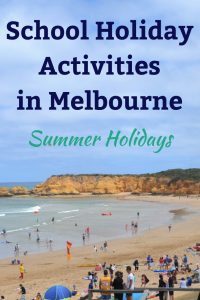 You are probably starting to look for school holiday activities in Melbourne or nearby to keep your kids occupied over the Summer holidays. 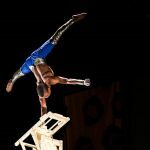 Well, not to worry as we have rounded up a list of school holiday activities in Melbourne and around to keep kids busy and parents from going insane! Term 4 finishes on December 21st for most schools in Melbourne and Victoria. 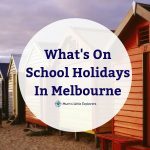 Below you can find a list of school holidays to keep your kids entertained this Summer in and around Melbourne. 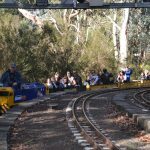 Located just north east of Melbourne, the Eltham miniature train is a fun day out for the whole family. A fun and cheap school holiday activity, kids will love riding aboard the little train through Diamond Valley. 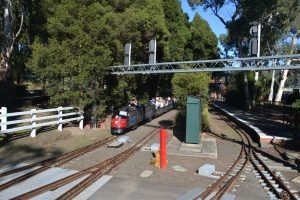 Eltham Miniature Train will run every Sunday in January making it perfect for a day out these Summer holidays in Melbourne! 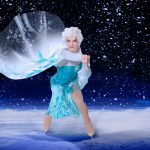 These Summer Holidays Disney comes to Federation square in Melbourne. 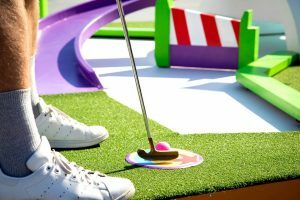 Putt your way around 9 or 18 holes including Toy Story, The Incredibles, Finding Nemo, A Bug’s Life, Ratatouille, Monsters, Inc., Wall-E, Inside Out, Coco, The Good Dinosaur and more. 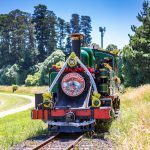 Victoria’s favourite steam train, Puffing Billy, runs through the stunning Dandenong Ranges. Just an hour East of Melbourne, this is a fun school holiday activity for the whole family. Take a day trip or even stay for the weekend nearby. Christmas is a magical time, and where better to spend Christmas even than at Carols by Candlelight. Watch the performances and sing along to your favourite carols. What a great night out in Melbourne! A day at the zoo is always fun, and it makes a great school holidays activity in Melbourne. With three zoo’s to choose from, there is somewhere to visit no matter where you are located. In the South West you can visit the Werribee Open Range Zoo Safari where they have the famous “Hippo Splash, perfect for Summer days. 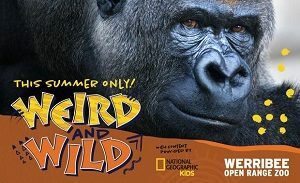 They also have a special educational event on these Summer holidays: National Geographic: Weird and Wild which kids will love! If you are in the city, there is the Melbourne Zoo which is more traditional zoo where you can see a range of different native and exotic animals, walking through rainforests and gullies. In the East is Healesville Sanctuary where you can see lots of native animals and birds, hold a snake and get up close to the animals. 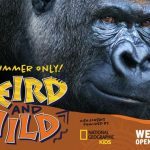 For parents who want a night off there is also the Sunset Safari at Werribee Zoo which is a fantastic night for adults (and older kids) full of African culture and cuisine finished off with a sunset safari on the Savannah. Do you have a little science lover? Or one with a curious mind? Head to Scienceworks, Melbourne’s most famous Science museum and Planetarium. 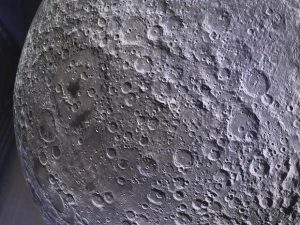 These Summer holidays Scienceworks will host the Museum of the Moon, a seven metre diameter spherical sculpture featuring large scale NASA imagery of the lunar surface! This is a really fun and educational school holiday activity that kids will love! Step back in time to the days of the Goldrush in Ballarat and learn about some of Victoria’s history. Kids will love being back in the “olden days”. There are some fun events on these school holidays too. Melbourne has some beautiful beaches. Why not spend the day at one of the beaches in Melbourne, or head away with the family to stay at one of the stunning beaches further down the South Coast. Keep your kids entertained this Summer with this list of School holiday activities. Have you got any other Summer holiday activities in Melbourne to share with us? Let us know so we can add them to the list!